Does the new library bring the Bilbao effect to Alexandrina? 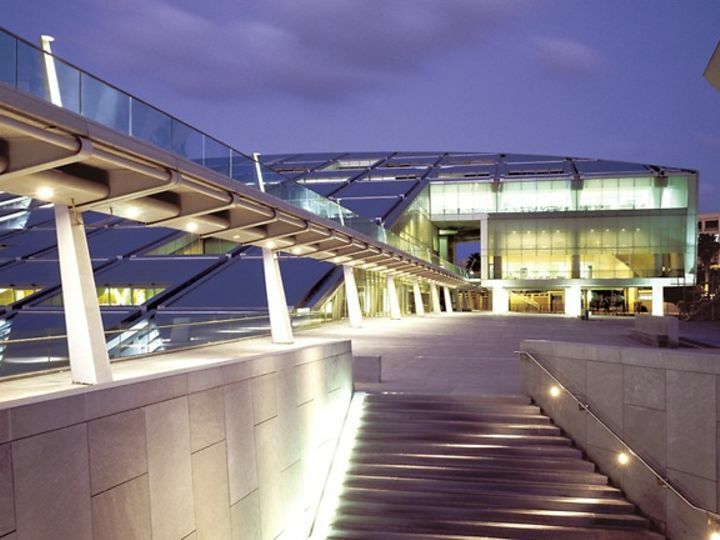 The cultural centre Bibliotheca Alexandrina opened in April 2002 was built under the auspices of UNESCO, and aims to build on the glorious past of the ancient library. Only 30 metres separate the library from the Mediterranean. Its deepest sections lie 18 m underground and 12 m below sea level, calling for sophisticated structural measures. Library stocks had to be wellprotected against both water and fire. To guarantee this protection and user comfort, the architects turned to dormakaba. The fire protection and smoke check concept includes TS 93 cam-action door closers and ITS 96 integrated door closers, some with electromechanical hold-open, plus BTS 80 and BTS 80F floor springs.